30' Basketball fun for all ages! 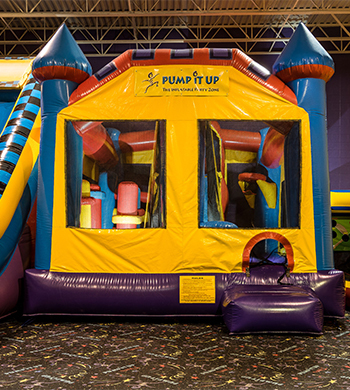 Bounce a basketball, crawl through a narrow gap, and avoid large obstacles as you achieve true ninja status in this fantastic inflatable! 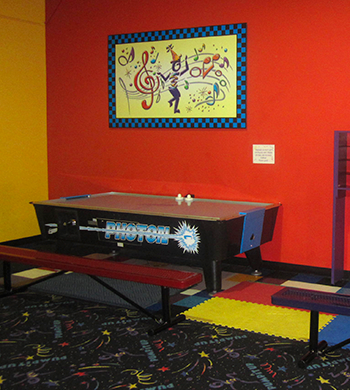 Enjoy a fun game of air hockey! Head on over to Arena B, where the fun continues! 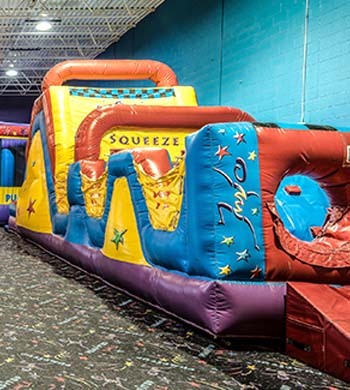 In this arena, you can race your friends in our obstacle course, slide down either side of our 16ft Double Slide, or test your skills in our Ninja Jump! 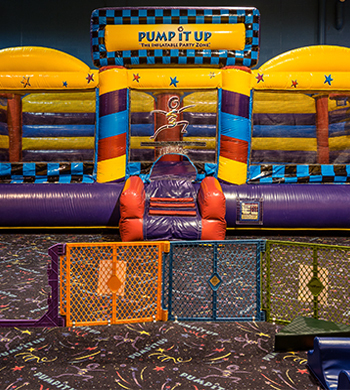 This arena also features our Go Glow upgrade! Race or just play! 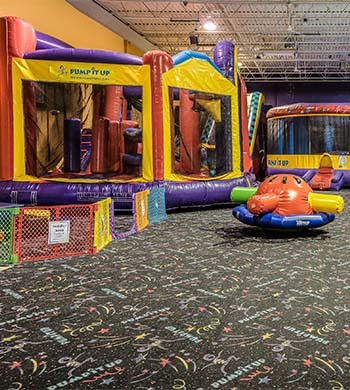 Our obstacle course is guaranteed fun! We have one in Arena A and Arena B! 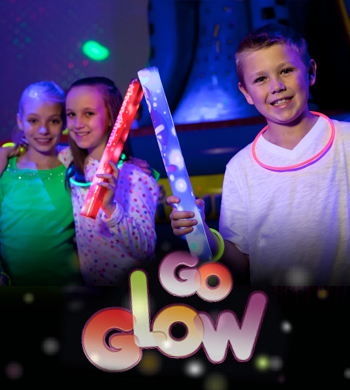 Make your event even more FUNtastic by adding our new Glow experience to your party! Ask your reservation specialist for details! After everyone is done playing, it's time to recuperate in the Party Room! 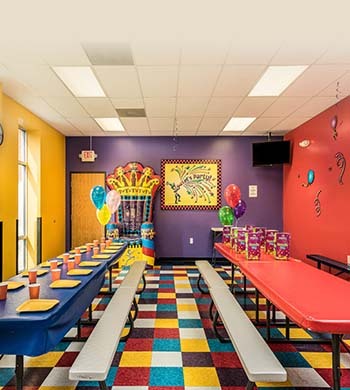 This room is covered in color, and it's always fun to watch the Snapshot photos of your party on our flatscreen TVs! 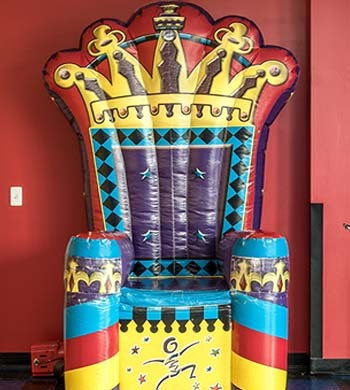 Your birthday child will feel like royalty while sitting on our inflatable birthday throne! Our guest of honor gets to experience the royal treatment with our inflatable Birthday throne. We have two in store, one in each party room.